North Dakota is not known for its pigeons. Or forests, for that matter. The state bird is the western meadowlark, a mellifluous yellow songbird often seen singing on fence posts. Such posts substitute for trees in much of North Dakota. The state is primarily covered in what was once short-grass prairie but is now mostly farms embedded in a human-made grassland, exceptions being the Badlands and a swath of boreal forest in the far north near Canada. Yet it was near Williston, the heart of western North Dakota’s new boom-and-bust oil patch, that Ben Novak first fell in love with Ectopistes migratorius—the passenger pigeon, a bird that rarely graced this region, if ever. By the end of the 19th century, the passenger pigeon, once perhaps the most abundant bird in the world, was extinct. Hunters enabled by the twin technologies of the telegraph and the train wiped out the passenger pigeon by traveling from site to site to supply markets hungry for meat in the burgeoning cities of eastern North America. On Sept. 1, 1914, the last passenger pigeon was found dead on the floor of her cage in the Cincinnati Zoo. The species was gone. There are multiple feasible methods for de-extinction. 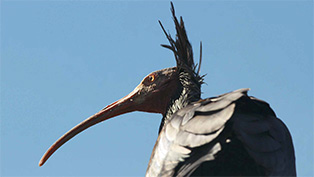 “I could not imagine billions of birds,” Novak recalls. “It captivated me, I was rocked by it, and I was so sad.” To a young Novak, this history felt different than the dinosaurs.’ After all, an asteroid wrought the dinosaurs’ doom, whereas the passenger pigeon (along with the dodo, Tasmanian tiger, Steller’s sea cow, and more than 300 known species) had all been helped along to extinction by something more terrestrial—Homo sapiens. “There were generations of human beings that had these animals, and they cheated and robbed me and the rest of my generation from ever having them, in such an irresponsible way,” Novak says, real anger coloring his typically soft voice. “There are extinct animals that we know nothing about other than that they tasted good, because no one bothered to write anything down.” Or even to draw a picture. 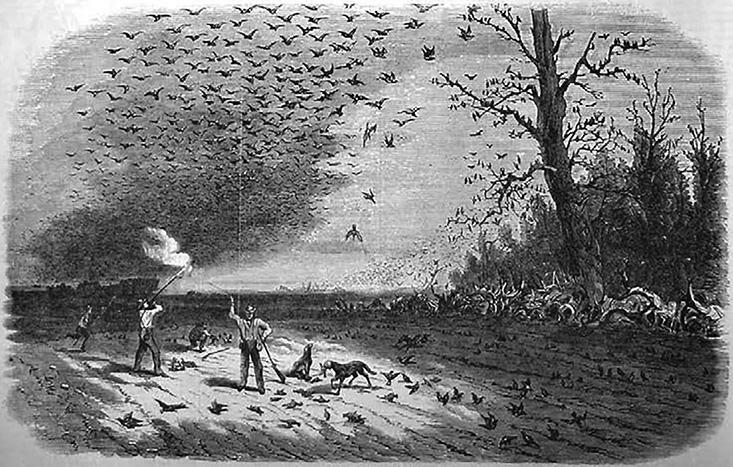 In the fall of 1847, the residents of Hartford, Kentucky, held a pigeon massacre. The passenger pigeons had recently come to roost in the area and could be shot, poisoned, netted, or clubbed with ease. Already, the pigeon was becoming a rare sight on the East Coast and had retreated inland. Révoil won that wager. There hasn’t been a passenger pigeon observed in the wild since the turn of the 20th century. Novak observed his first in a Minnesota museum, a little flock of dead birds nestled in a display case along with tags revealing the birds were shot in the midst of breeding season. But that was just the first of many: The largest cache he has found so far is 15 dead birds from one flock in a drawer in Denver. Novak is not really making a passenger pigeon, but a chimera. 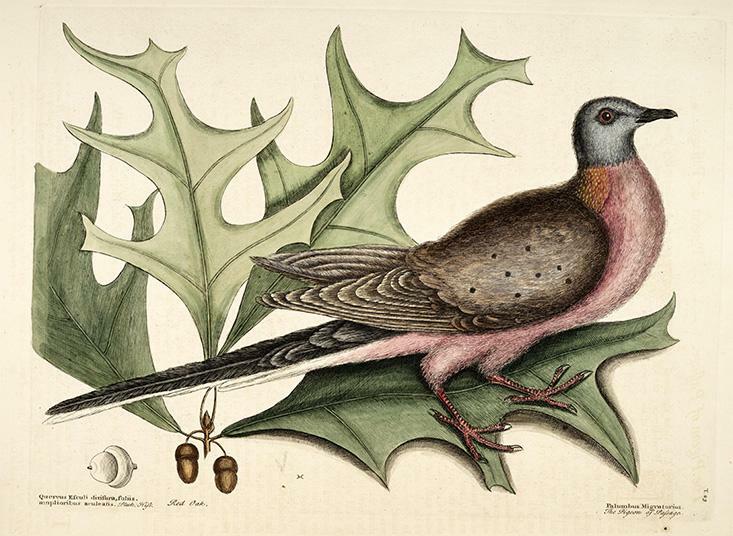 The last living passenger pigeon was also the first passenger pigeon individual: Martha (named after Martha Washington). Her individuality spelled her doom, making it impossible for her to mate or even to properly construct a nest. She was the last, like Lonesome George, thought to be the last of the Pinta Island giant tortoises, now dead, or Benjamin, the last thylacine, better known as Tasmanian tigers, who lived long enough to be filmed pacing his cage in apparent distress. Martha lived all her life in captivity at the Cincinnati Zoo, and ended it in the care of zookeepers Salvator Stephans and his son Joseph. She had a mate, named (of course) George, for a time, but no offspring. Visitors described the birds calling to each other with the sound see, see. 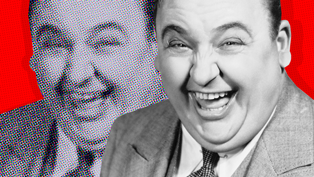 But George died on July 10, 1910, leaving Martha a widow. And so the last living representative of a highly social bird that found comfort in flocks large enough to blot out the sun lived another four years in solitary confinement in a cage measuring just 6 by 7 meters. Upon her death, her feathers and her corpse were shipped on ice to Washington, D.C., to be stuffed and preserved. You can still see Martha today in the Smithsonian Institution, her plumage restored but not her vivacity. 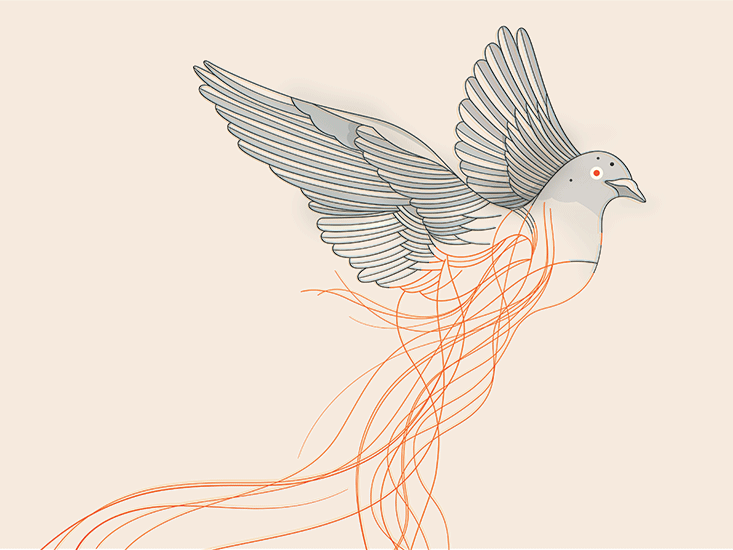 But before any genetic code could be manipulated to make a passenger pigeon, the genetic code of the original passenger pigeons would have to be known. And what better place to do that than a newly built Paleogenomics Lab at the University of California in Santa Cruz, nestled among the redwoods? The lab is run by Beth Shapiro and her husband Richard Green, two renowned paleogenomicists, prospectors for the genetic codes frozen in the carcasses of Pleistocene megafauna, such as horses and mastodons, who had already puzzled out the oldest confirmed DNA on record—ancient horse DNA 700,000 years old. Such skepticism does not deter Novak. Assuming the code is in hand, there are multiple feasible methods for de-extinction. First, there’s cloning. You could take a hollowed-out egg cell and dump in the contents of a cell you want cloned, the process used to resurrect an extinct species of Iberian mountain goat known as the bucardo (the clone lived for less than 10 minutes). Or you can reprogram a skin cell with the proteins that dictate what DNA to copy or not—the so-called transcription factors—to create a stem cell theoretically capable of becoming anything, including an entire organism. Korean scientists routinely use the technique to clone cows, dogs, and pigs, and hope to extend it to endangered animals like the Ethiopian wolf. But all kinds of glitches arise when it comes to de-extinction, such as ill-formed, enormous placentas or immune system failure, for reasons that remain mysterious. Then there’s CRISPR-Cas9, the technique used by George Church, who is perhaps the most prominent proponent of synthetic biology. In his lab at Harvard Medical School, Church hopes to reconfigure Asian elephant cells to resemble those of a woolly mammoth, using the genetic manipulation potential of CRISPR. Currently, CRISPR uses the genetic machinery of a simple cell, say, Escherichia coli, the gut bug responsible for most cases of food poisoning, to recognize a viral intruder and dispatch an enzyme to kill it. Viruses are, after all, just bits of DNA or RNA code looking to hijack cellular machinery to make more of themselves. Instead, Cas9—one of the enzymes produced by the CRISPR system—attaches itself to specific stretches of viral DNA and cuts them, disabling the targeted gene. Geneticists can use this same rudimentary immune system to edit genomes, adding or subtracting genetic sequences at will. CRISPR can be used to tailor life itself, editing the parasite that causes malaria out of existence or inserting genetics for drought tolerance into key crops like wheat. It can be used to resurrect a pandemic virus, like the influenza that killed at least 20 million people in 1918. Or perhaps to craft an extinct genome from a living one. Already, Church and his clutch of revivalist students have tweaked the Asian elephant genes to produce more hemoglobin, the protein in blood that carries oxygen. That’s the first step on the long road to making a hairier elephant that can tolerate extreme cold, a living analog of the extinct woolly mammoth. “We can make a hybrid elephant with the best features of modern elephants and mammoths,” Church says. Next up, organs. The problem faced most squarely by those who dabble in ancient DNA is corruption. 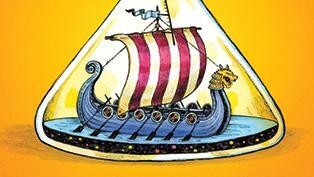 But a whole animal is a different story, as the trial-and-error saga of cloning shows. “Development is like a fine watch. Changes have consequences,” Robert Lanza, head of Astellas Global Regenerative Medicine tells me. 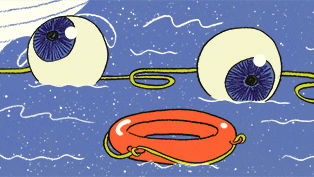 As it stands, there is no technology for editing an entire genome at once, only for individual sections, nor for synthesizing the genetics of complex organisms, nor for wrapping the genes in the tightly packed DNA known as heterochromatin necessary for their function. And then there’s the damage done to ancient DNA by the reconstruction process, which can cause misreadings of code, especially at the ends of DNA fragments. 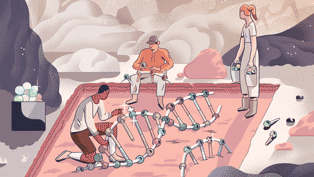 And even once that piecing together is done, the specific workings of each of the billions of nucleotides in the genome would need to be puzzled out. Get even one base pair wrong and the whole organism may be doomed. In fact, “natural” genomes may never be fully understood because they evolved, developing randomly. An annotated genome becomes the most fervently desired for scientific outcome: a single genome, of any kind, really, in which every gene’s purpose and function are known (or known to be irrelevant) and even the various things that happen to a genome—methylation, transcription factors, epigenetics, and more—are understood and predicted, more or less. That remains a long way off. The problem faced most squarely by those who dabble in ancient DNA is corruption—changes to the DNA not reflective of the animal or plant that bears them, but rather those of museum storage or permafrost freeze or sample collection. Correcting for this requires a large sample and the ability to distinguish among the random variation of individuals in a population. “Mammoth DNA is more like confetti that’s been run over by a herd of mammoths in the rain,” Shapiro noted at the de-extinction event in D.C., punctuating her metaphor by tossing confetti into the air onstage. 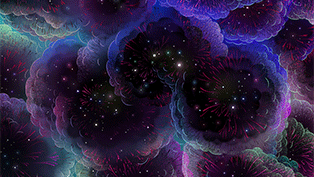 Even under perfect conditions, it is unlikely that molecules of DNA could last more than a few hundred thousand years. 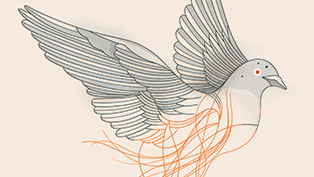 The humble passenger pigeon is a far more likely candidate for de-extinction than any dino. Through genetics, the idea is to get the physiology, the gestation, the skeleton, the color, the very shape of the passenger pigeon to exist anew. But is that a passenger pigeon? What makes for a species distinct from its relatives, the banded pigeon or the all too abundant rock dove, Columba livia? The new bird will have the immune system of a band-tailed pigeon and the color of a passenger pigeon. So what is it? “There is no such thing as purity,” Novak reminds me. Messy mixing may be the fate of all life in the Anthropocene. Novak is not really making a passenger pigeon, but a chimera. 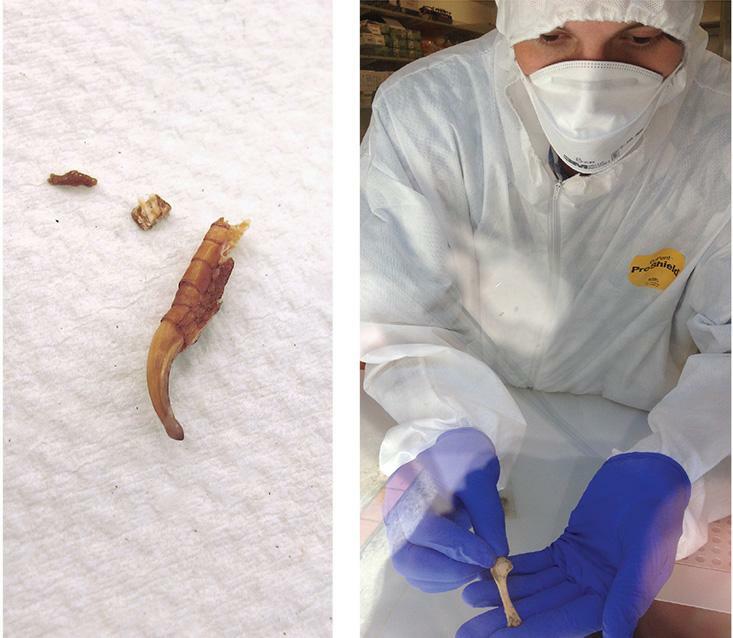 At the Paleogenomics Lab in Santa Cruz, Novak spends time grinding passenger pigeon bones, represented by little vials containing toes, into fine powder. Any surface that touches the bone is first sprayed with bleach, and then ethanol (to kill off any promiscuous DNA floating around in bacterial cells or on gloved fingers), and wiped down with paper towel. He squirts a liquid enzyme into the powder of a passenger pigeon toe bone, which rips apart the bone cells. A buffer is added to extract the DNA while the sample roasts in a rotating oven for 24 hours or so. The cooking frees the DNA from the proteins that bind it. What’s left is a simple soup of molecular DNA—a precious code, if you have the tools to read it. A binding molecule is added to the soup, which seeks out bits of DNA and grips them tightly. The soup goes through a molecular sieve, the proteins pass through, but the DNA is caught. Novak washes the filter and puts the harvested DNA into a collection tube with a little bit more chemical buffer that looks no different from water but frees the DNA from its binding. A drop of this liquid can contain hundreds of DNA sequences or fragments—all destined for the technology that makes modern DNA work possible: polymerase chain reaction, or PCR. The DNA is alternately heated to 98 degrees Celsius and then cooled to 55 degrees while an enzyme—the polymerase from which the technique derives its name—is guided by a fragment of synthetic DNA that grabs onto the desired bit of DNA. The polymerase then builds an exact copy of the DNA, and each copy is in turn copied until thousands of copies have been made. The thousands of copies make the DNA easy to study and manipulate (lots of spares), even if the DNA is 700,000 years old. Even if Novak succeeds in assembling his pigeon, the consequences of its reintroduction remain fuzzy at best. How would Novak’s new species learn to be passenger pigeons? Currently, Novak’s plan is to dye his band-tailed pigeon parents to resemble passenger pigeons, so that the passenger chick can see a cosmetic replica of itself. Actual passenger pigeons were not very good parents, however. “They abandon their young before the babies can even fly,” Novak notes. “ ‘Oh, you’re fat enough. Goodbye.’ ” That’s not rare among animals, but it is rare among birds, and no self-respecting band-tailed pigeon would ever do such a thing. How would an adult flock know to migrate? Novak hopes to train homing pigeons, also painted, to teach the baby passengers where to go, from late autumn roosts in upstate New York down to Southern forests. Perhaps he could even train the passengers to revisit old migration spots of historical record. Such assisted migration may prove vital in many human bids to preserve many endangered species, not just the resurrected ones. 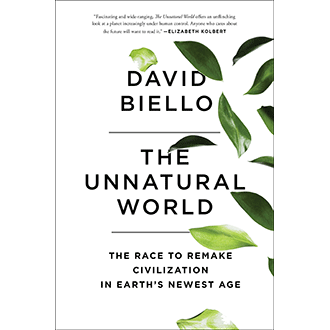 David Biello is an award-winning journalist who writes primarily about the environment and energy. From Unnatural World by David Biello. Copyright © 2016 by David Biello. Reprinted by permission of Scribner, an imprint of Simon & Schuster, Inc.
Aliens Is Physical Law an Alien Intelligence?